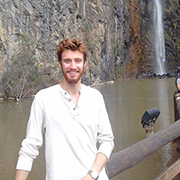 Nathan received his Bachelors in Mathematical Biology from the University of Pittsburgh. He began working under Dr. Cooper as an undergraduate researcher in 2015, focusing on clinical variant calling. 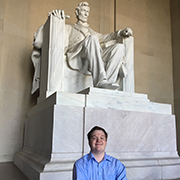 Upon graduation, Nathan has transitioned into a full-time role becoming the lab’s bioinformatics research assistant. He hopes to continue his work while helping both himself and others harness the power of HPC to help solve complex computational biology problems. 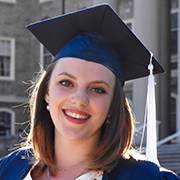 Emily received her bachelors in molecular biology from Penn State University in 2016. In her studies at Penn State, Emily worked to engineer a biodetoxification pathway for lignocellulose biomass feedstock for the iGEM 2014 competition. She grew fond of working towards big picture ideas with microbes. Currently, Emily studies the effects on fitness and biofilm production in Burkholderia cepacia clones as well as serving as an outreach coordinator for EvolvingSTEM. Emily hopes to continue studying the benefits of microbial evolution and STEM education in the public health field.